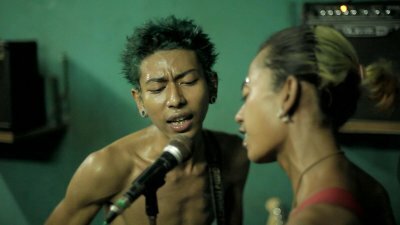 Kyaw Kyaw, a twenty-five-year-old Burmese punk, pursues the dream of seeing the punk scene take off in Myanmar. Along with the members of his punk band and by way of his music, he criticizes the ongoing civil war and the persecutions of ethnic minorities. He travels across the country to promote his philosophy among the young generations : A symbiosis of Buddhism and punk.